Estonia’s capital city of Tallinn was the third and final Baltic capital from my recent adventures. 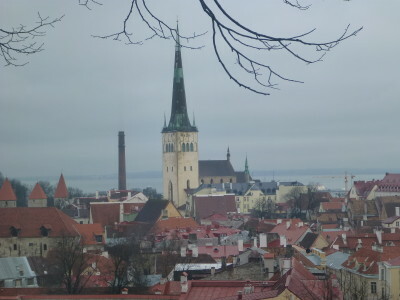 Having explored Lithuanian capital Vilnius (including the wacky Republic of Uzupis), dipped back into Riga it was now time to check out the biggest city in Estonia. Tallinn is a pleasant and charming city. 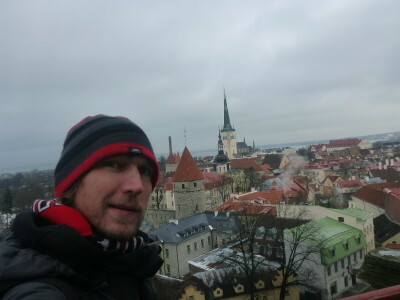 Yes, Estonia has been sucked into all things European – wacky cafes and bars, a stupid uniform currency (called the ‘Euro’), tourist traps and occasional stag night parties. But beneath this evolution is a city that realistically hasn’t changed nor felt the desire to as it’s already cool enough. And it always was the cool chick in the Baltic triangle. Ice cool Tallinn doesn’t need to change. Within its streets are traditional bars, ancient walls, historic churches, hidden museums, street art, poky streets and modern cafes. 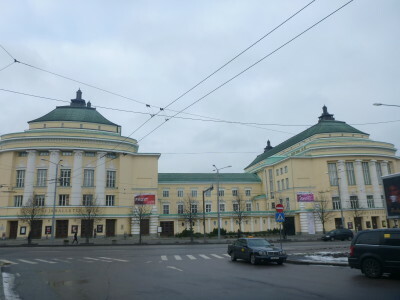 It’s a city that has seen the benefits of a world bereft of the Soviet Union. Estonia boasts the inventors of Skype, the world’s oldest pharmacy, the sad final racing spot for motorcyclist Joey Dunlop and a ton more English speakers than nearby Riga. 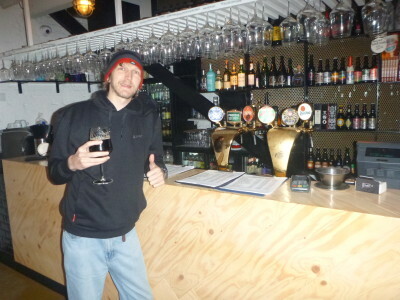 I spent 5 days in the city, enjoying the backpacker’s lifestyle in the cosy Hostel Euphoria as well as a night of solitude, work and comfort in the Hotel Shnelli. 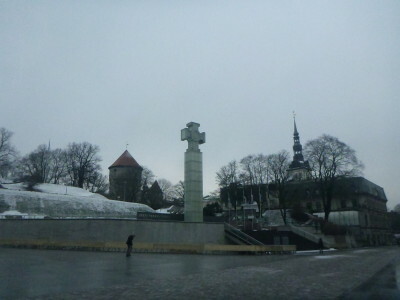 I also passed back through Tallinn before boarding my ferry to Helsinki, Finland. 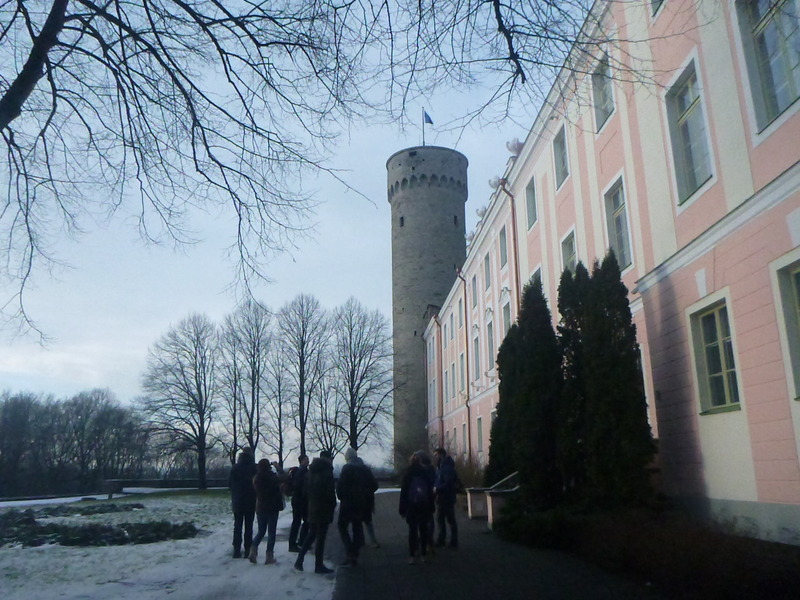 During my time in Tallinn, I sampled the local night life, a free walking tour, the KGB Museum and a load of sightseeing around the city. These are my personal top 15 sights which I tried to limit to 11 but got carried away. 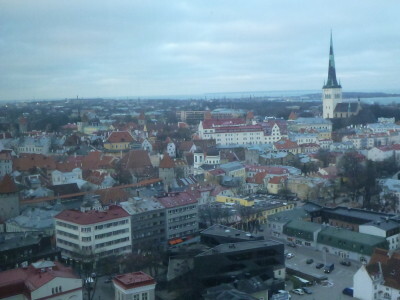 The famous 23rd floor of the Hotel Viru has major significance in the history of Tallinn, Estonia and of course the U.S.S.R. It was on this floor that the Russian KGB monitored every room in the building, using it as its spy base. In those days, from the opening of the hotel in 1972, this was the ONLY hotel you could stay in in Tallinn as a foreigner. It’s crazy to think of that now with the amount of swanky hotels, funky guesthouses and arty backpacker hostels. So pay your 9 Euros and book the tour one day in advance (for what reason I don’t know) and you will get a guided tour of the 23rd floor Spy Base. 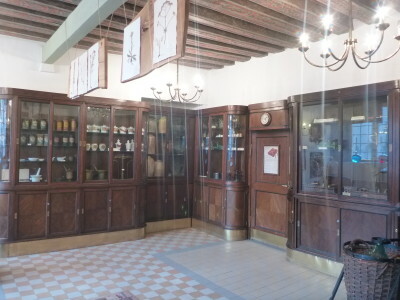 You can also stay in the Hotel Viru as well of course. 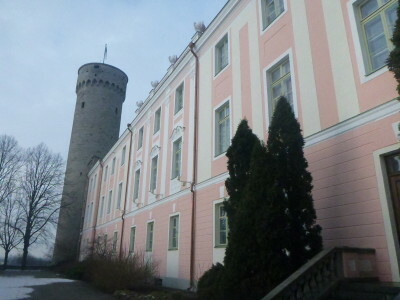 This splendid castle sits on a hill and from the only remaining part of the Old Town walls you will see an Estonian flag. 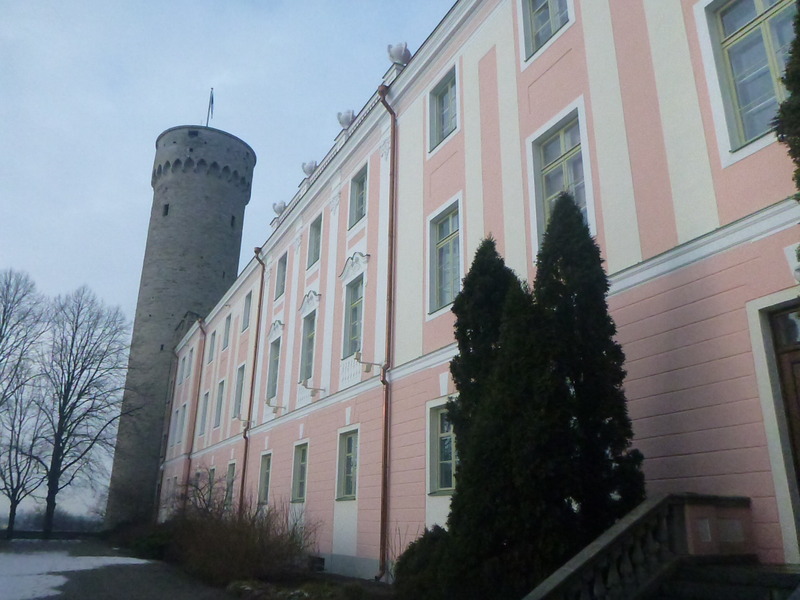 The Estonian national anthem is played here daily and the pink building that is just as obvious is the Estonian Parliament. You’re thinking you’ve heard of this dude before and you’d be right. 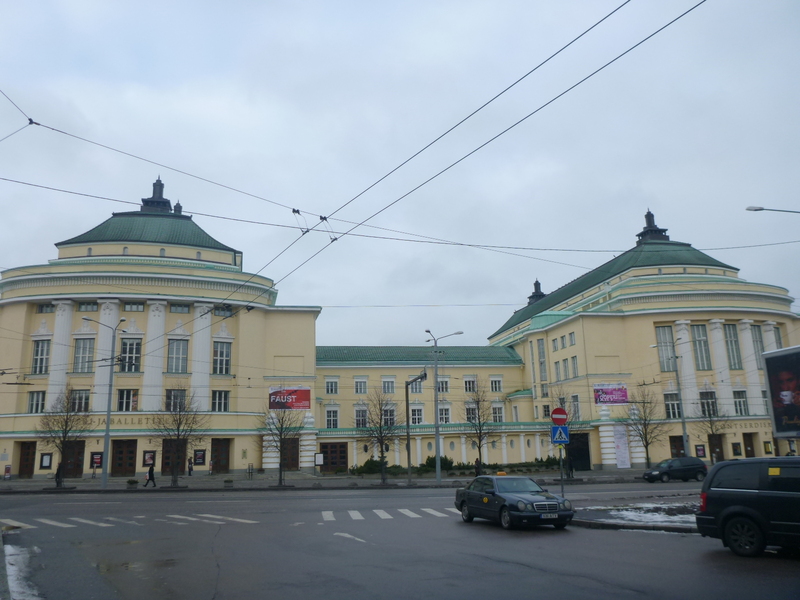 It’s the same Alexander Nevsky that designed the cathedral in Sofia in Bulgaria. This one dates back to the 19th Century and is Russian Orthodox. 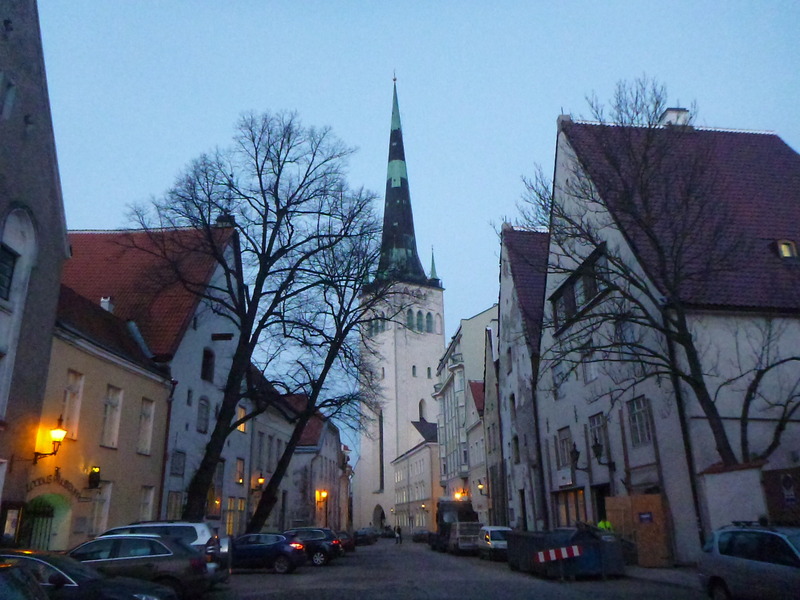 I don’t want to become the cliché I never craved here, as I seem to include a “central square” in an “old town” on so many of these guides I do – but really it is a good place to start, get your bearings and of course Estonia’s Raekoja Plats has more history than most. It is here that houses the world’s biggest Christmas tree (allegedly), it is here that is the only national square in the world never to have had assasinations (apparently) and the only surviving Gothic Town Hall in northern Europe (fact). The little man statue at the top of the spire is supposed to bring luck and protect the town. 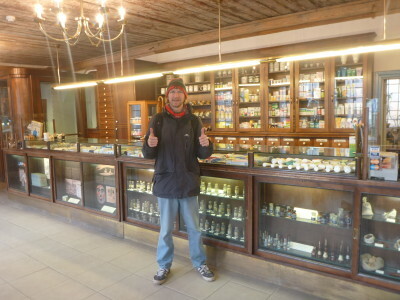 So while I was backpacking in Estonia I picked up a sore throat and runny nose. 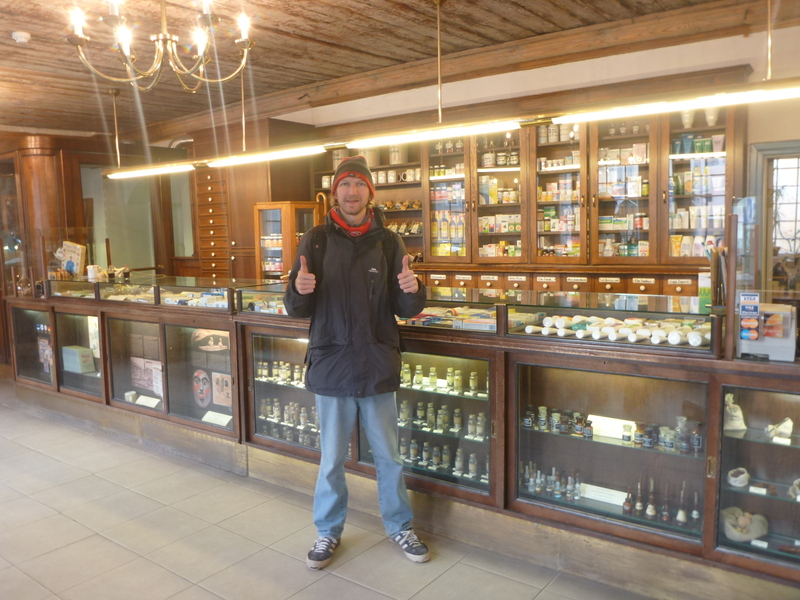 Clearly one of the best cities in the world to do that in, as here in the Old Town Square is also the world’s oldest pharmacy/chemist. Amazing eh? 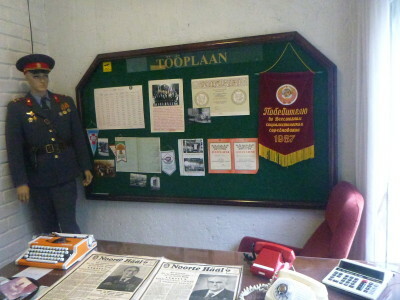 Commemorated with a plaque outside and internally there is a mini museum. 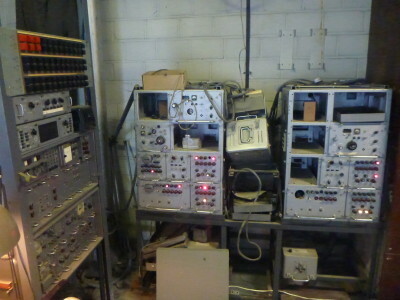 I popped in for a packet of Strepsils (I kid you not! 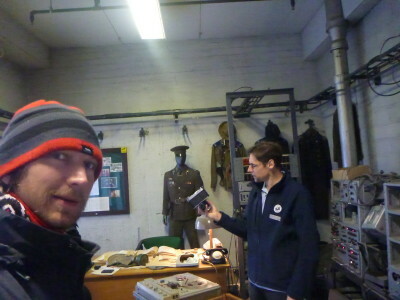 ), a nosey and a chat to the staff. The place ain’t changed in years, and even without being there years ago, I can guess that and feel relatively justified in doing so. This is an old school pharmacy at its best. 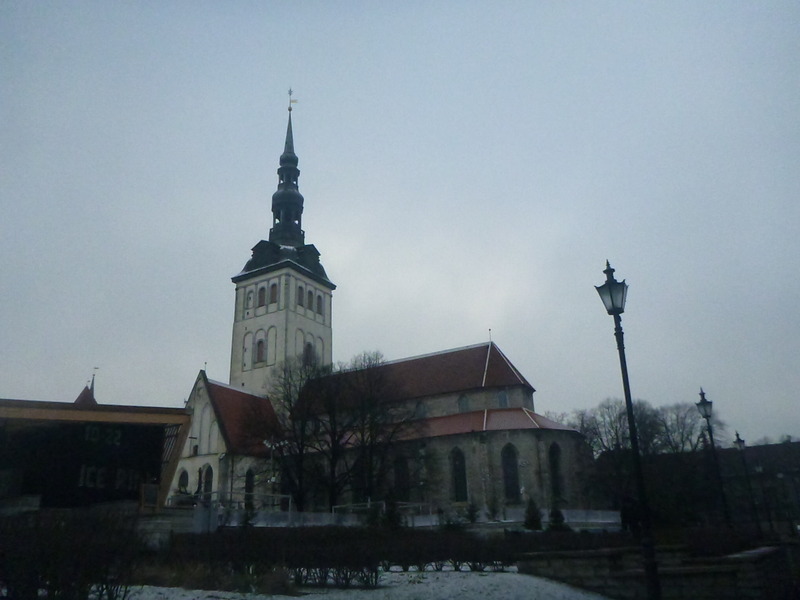 I’ll whack a few churches in here as Tallinn is blessed and bunged with some cool historical churches. St. Olaf’s was actually once the world’s tallest building believe it or not! 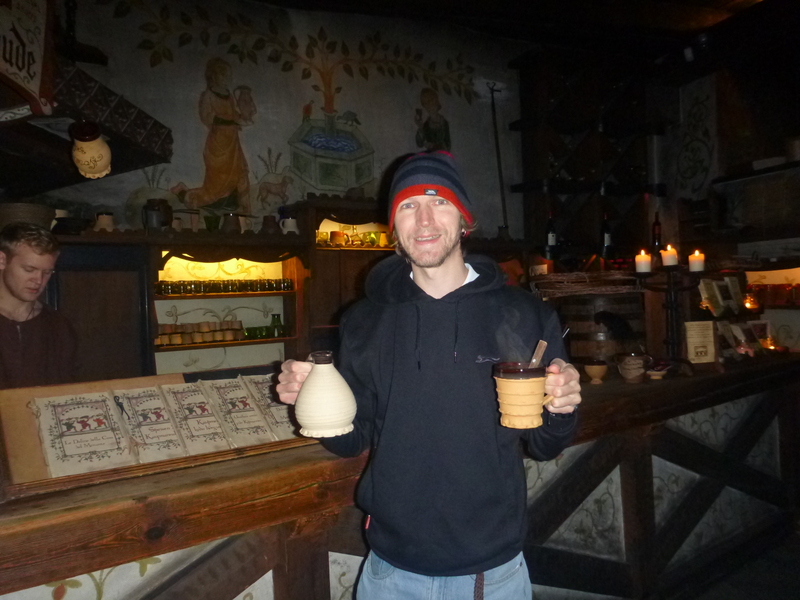 I swear the Estonians were not drunk when they made all these claims! Any Northern Irish folk, any motorcycle enthusiasts, this is a must see for you and it was for me. 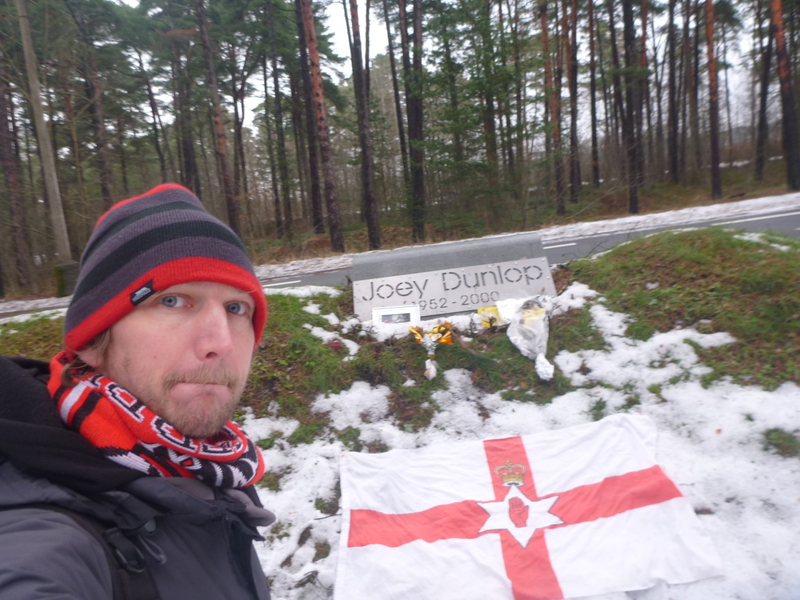 I made the sad lonely pilgrimage out to the exact spot in a snowy wintery wood to see the spot where Northern Ireland’s world champion motorcyclist Joey Dunlop perished tragically when he hit a tree while leading a race back in 2000. A fitting memorial sits in the woods by the roadside. Poignant and peaceful and you can read my report on my visit to Joey Dunlop’s Memorial. The travelling Northern Ireland flag and hero Joey Dunlop Memorial. Translating as “peep into the kitchen” this elaborate structure is a cannon tower built back in 1475. 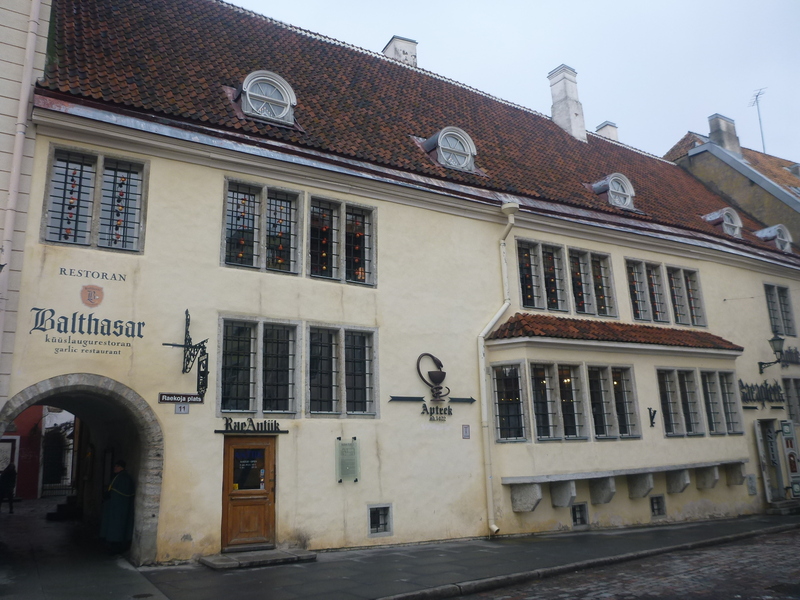 I normally keep bars and restaurants out of my top 10 lists but the Olde Hansa is more than a restaurant and bar – it’s an experience in itself. 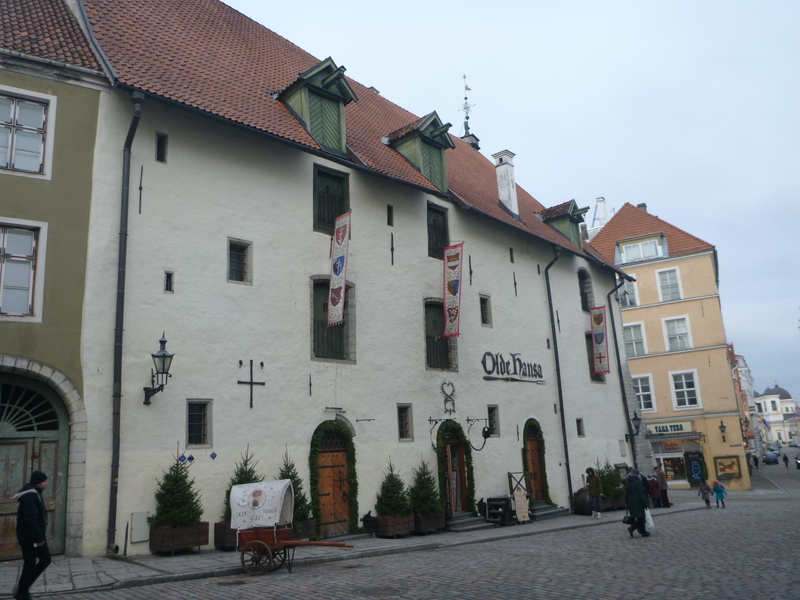 On a prominent corner near Old Town square sits this completely noticeable and obvious Medieval Building which puts most tourists off as they see it as a fake “tourist trap” with over priced menus. I can assure you – it’s not. This is a unique experience at Olde Hansa. 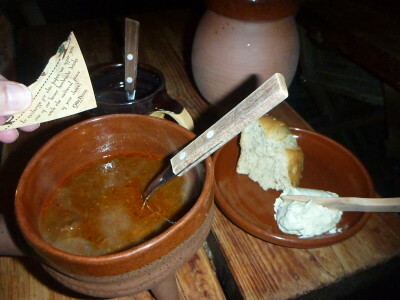 Inside the restaurant it is candlelit, maps adorn the wall from the good old days, staff are dressed in medieval attire, the menus are old school and the food and drink is served in dishes that you don’t normally see in modern cities. 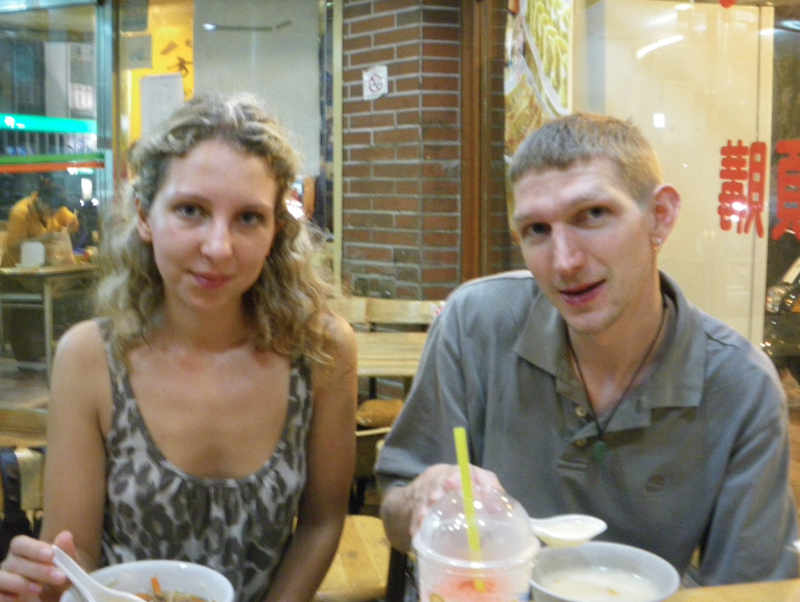 Plus the backpacker in me found a coupon for a free drink, so I popped in, bought the cheapest soup on the menu and got a free drink. As a bonus I got selected for a free gift too, which was a bag of black pepper from the shop inside Olde Hansa. Itself worth a look which you can do without paying a penny. Don’t worry it’s not just another “freedom square” here for the sake of it. Estonians rather despise the fact that their massive glass medallion structure costs millions of Euros to build, was made by the Czechs and doesn’t really inspire freedom. 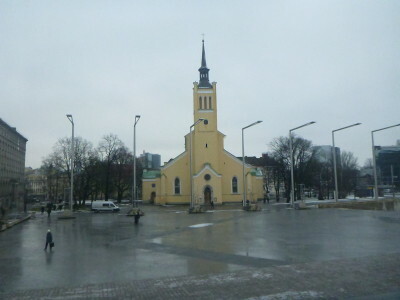 It’s lit up at night and sits facing a square and the St. John’s Church. 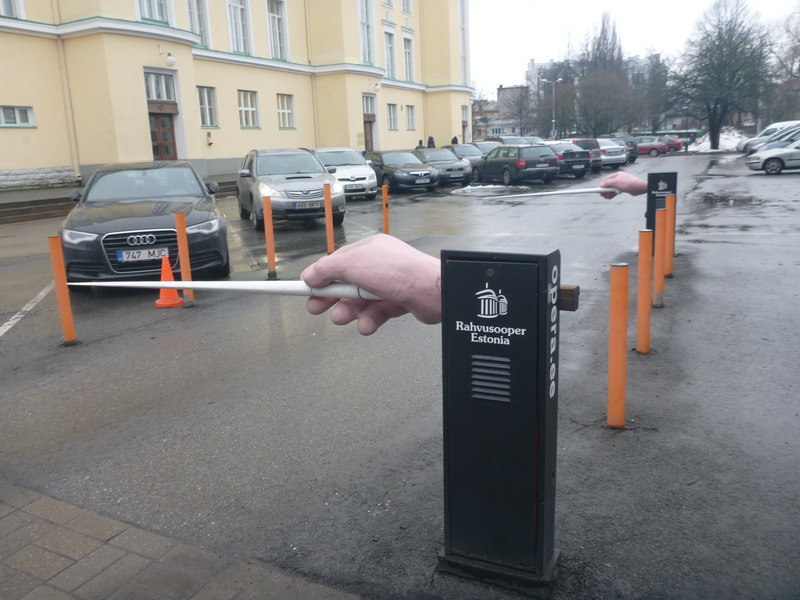 A contender for best looking building in the city, and also a tad clever. Even the entrance for the cars has been designed using musical related art. 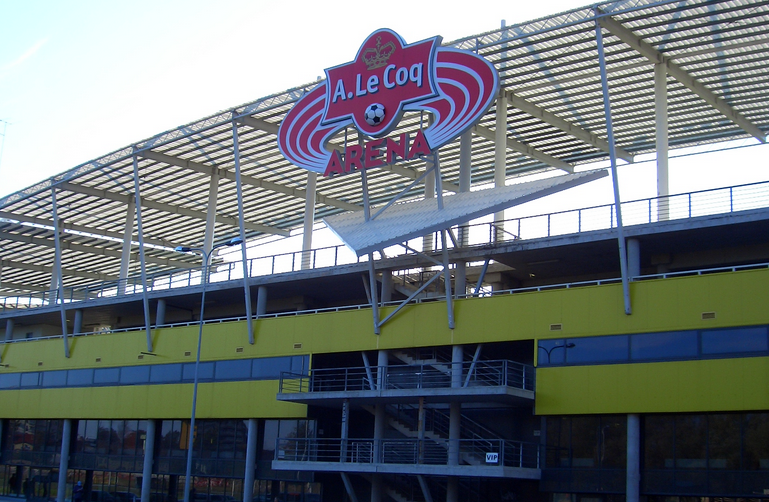 The building is massive and with a green and yellow colour scheme certainly makes itself known, or heard. Estonia made the play offs for Euro 2012 and while football wise their most famous export is goalkeeper Mart Poom, they are a small nation of just 1.3 million. The A. Le Coq Football stadium is the fateful place where they beat Northern Ireland 4-1 back in 2011. Ouch. This is where you really do escape the tourists and see Estonian art in full flow. A mini city here in an up and coming neighbourhood. It’s youthful and studenty with all sorts of street art, galleries and by night some top class bars including F-Hoone and Pudel Bar. This is a church which was once the home of an Athiest Museum. 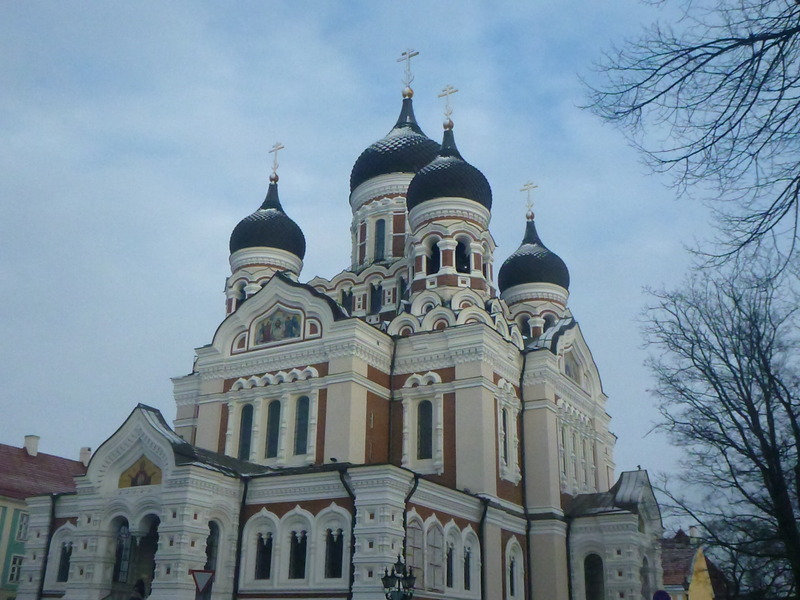 Incredible really, but it was a mixture of bombings that had destroyed it, Estonians wanting to scam the Russians back in Soviet times and the need for a decent looking church that hasn’t really been a church for years. It was once a home for Athiests, now it’s a museum. A city this cool deserves a vantage point and Kohtu is the best one. You’ll LOVE the way there are not many skyscrapers or advertising boards from here. 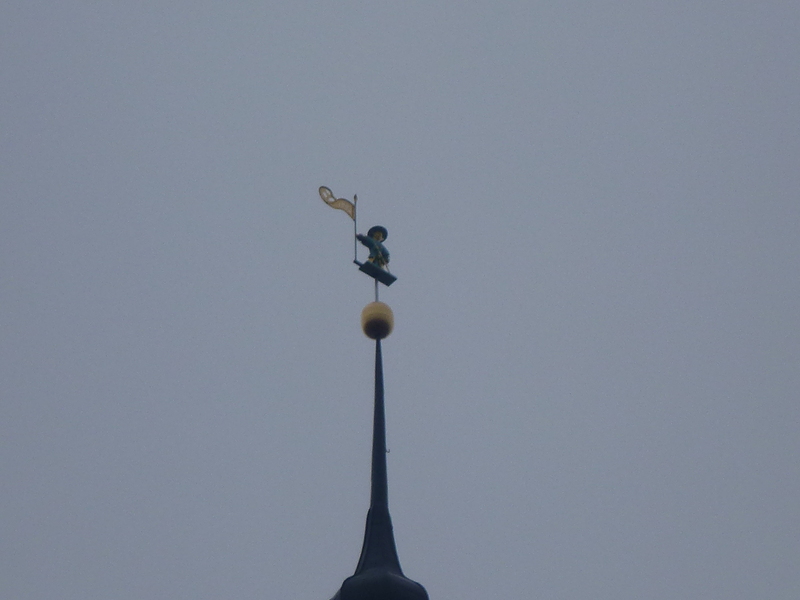 This is because it’s still against the law for any building to be higher than Olav’s Church. Nice one Olav, let’s keep it like that. 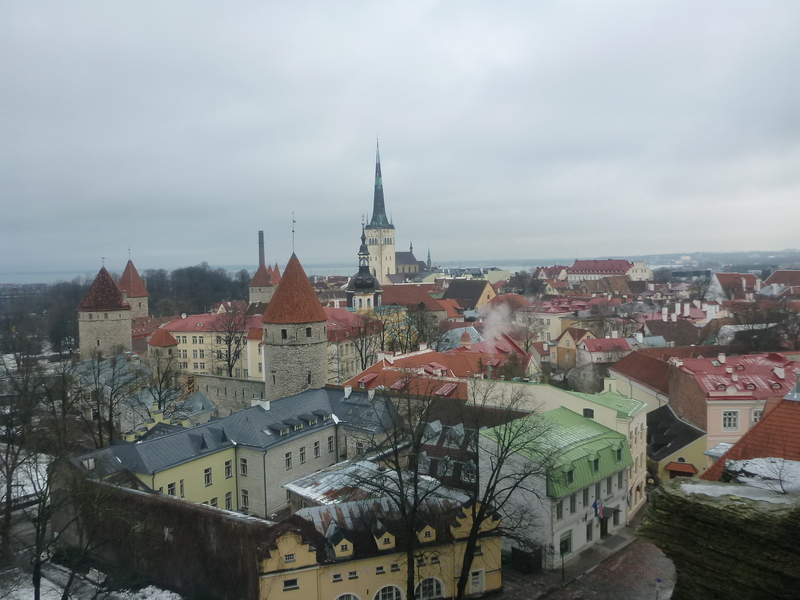 This entry was posted in Estonia, Europe, Lists, My Top 5s, Tallinn. Bookmark the permalink. 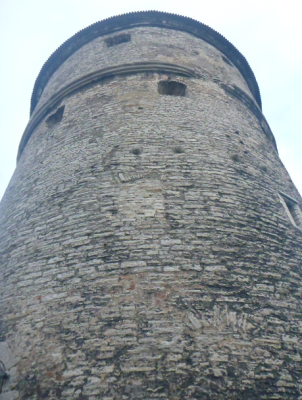 Tallinn is my absolute favorite Capital in Europe! You shouldn’t miss visiting the Linnahall and doing a day tour with traveller.ee. I chose the Padinski tour and it was so amazing!